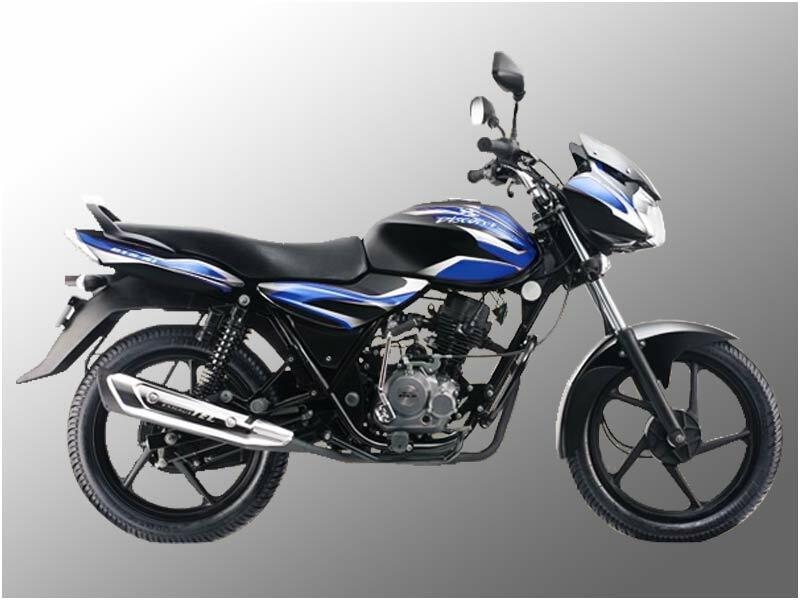 New Bajaj Discover DTS-Si 100cc is the first bike coupled with rediscovered muscular look and persona. Read on the review to know the features, technical specifications & price. Discover 100cc owns the advanced DTS-Si 2.0 engine. The Digital Twin Spark-Swirl Induction engine gets pent roof combustion chamber and molykote piston for improved combustion and better fuel efficiency. The engine spouts 7.7PS of peak power at 7500rpm. According to ARAI-IDC (Indian Driving Cycle), Discover returns a fuel efficiency figure of 89 kmpl. Under standard condition, the fuel efficiency is expected to touch around 125 kmpl, which is higher than the XCD's 109 kmpl. 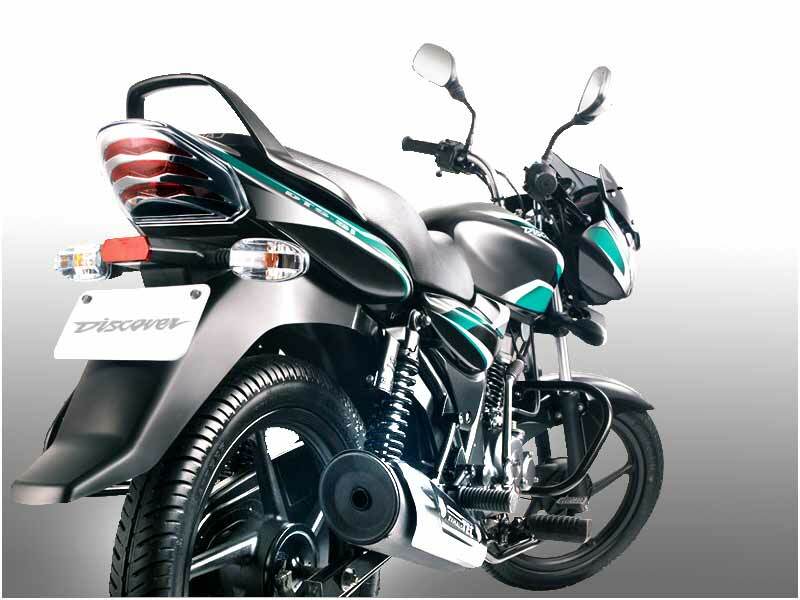 New Discover 100cc retains the inherent Discover styling. It has Pulsar attributed muscular look. The headlamps along with twin pilot lamps are housed in broad fairing. The tinted visor adds to the look and persona of the bike. Viewed from the side, it looks like 125cc Discover save the bike's all black styling. 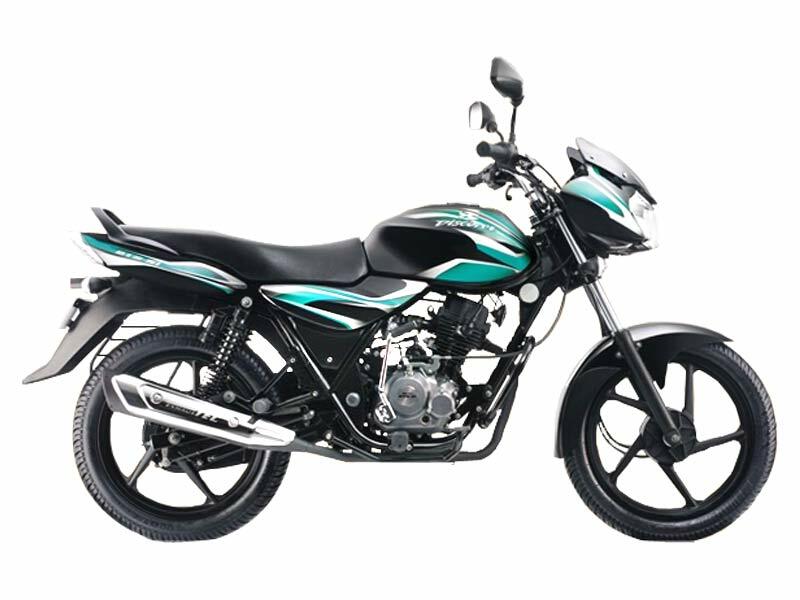 Modifying the rear part at the most, Bajaj now offers a bike in LED in 100cc segment. The three step tail lamp cluster appears to crib from Suzuki's GS150R. On the whole, this bike will definitely distract the 100cc customers. It is a nice experience to be on roomy seat with the heavenly comfort. The grab rail is well placed and so is the handle bar and it is easy to hold. The front telescopic fork and gas charged Nitrox suspension at the rear adds to the comfort level surpassing its tired rivals. Ride quality is refined by the by Nitrox suspension and spongy seats combating the road shocks and bumps. The brakes of the bike keep in complete control making the ride safe. Unlike the XCD, it lends a muscular and stable feel. The box section swing arm and the tubular dual cradle structure add to the lively character of the bike. Electric start with auto choke helps in easy start and the alloy wheels are welcome standard fitment. Ensuring the rider long riding, Discover DTS-Si 100cc delivers an outstanding mileage of 75-80 kmpl. The New Discover 100cc is available in 5 colors: Black with Green stripes, Black with Red stripes, Black with Blue stripes. Red and Blue will be available in another 3 months. The price of the bike is around Rs. 40,000 in the ex-showroom of Delhi.